A heel spur is a calcium deposit below the calcaneus (heel bone) that forms a bone protrusion. This spur can occur at the back of the heel (the “pump bump”), where it is sometimes associated with achilles tendinitis, or below the heel, where it is often tied to plantar fasciitis. Heel spurs are caused by strain injury of the tissues and tendons connected to the heel bone. This can happen as a result of continuous stress related to physical activity including walking and running. Excess weight, unsupportive footwear, and gait abnormalities can increase the risk of developing heel spurs. Spurs can also occur as a result of inflammatory diseases such as arthritis, diabetes, ankylosing spondylitis, and diffuse idiopathic skeletal hyperostosis. Some individuals don’t feel any symptoms as a result of heel spurs, though others may feel chronic pain during activity in the area of the heel spur. This is due to injury of the soft tissue around the heel. As is common to plantar fasciitis, the pain may be worst early in the morning or after long periods of rest. 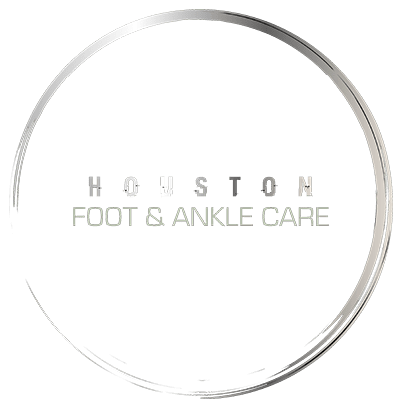 Most patients suffering from heel spurs will be advised to try non-invasive treatments, including: stretching exercises, shoe inserts, physical therapy, taping, or change in footwear. The success rate for most patients is about 90% improvement within 9-12 months. In more severe cases, surgical removal of the heel spur may be recommended.